Most GMCs (global management consultancies) such as Booz Allen, BCG, and Accenture recruit at only the top 25-50 U.S. undergraduate and MBA programs. Internationally, the process is even more selective. So what can you do if you’re a strong candidate, but the firms you want to work for simply don’t recruit at your school? What can you do if you want to work for [INSERT FIRM HERE] and they don’t recruit at your MBA or undergraduate institution? This is a disadvantage in the recruiting process. Given consulting firms’ lack of recruiting resources, alternative application methods (such as submitting your resume online) receive less attention and carry less weight. Think beyond your circle. If you’re an undergraduate, consider attending the MBA job fairs to establish contacts, get a few business cards, and even submit your resume. If you’re an MBA student, look into the law school job fair and/or job fairs for nearby MBA programs. While you’re not guaranteed success, you need to take risks given the limited options in front of you. Contact headhunters. Particularly if you have a few years of work experience. Headhunters have industry contacts and a broad view of available options. Be specific about your career goals, but not close-minded. Build relationships by being direct and specific. Now you know a recruiter in Bain’s Boston office. And you know a school alumni who’s a consultant in BCG’s Dallas office. Email them first – remind them of who you are, what your goals are, and the one or two areas where they can help. Keep the email short (no more than 5-10 lines of body text). Provide multiple contact channels. If you receive no response within one week, it’s OK to call and leave a brief voicemail. What are areas where they can help you out? Introduce you to firm contacts with shared interests, backgrounds, etc. Answer your questions about the industry, the firm, etc. Want more insider information on what the best way to network successfully? Our Networking Course will prepare you for any situation you need to network in – from recruiting events to summer internships to emails. If all else fails, adjust your expectations and bide your time. 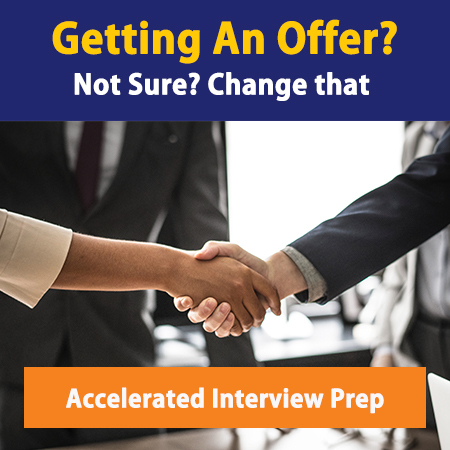 If you’ve tried the above and are getting nowhere, then option 1 is to find either the most prestigious alternative available (eg, finance, Fortune 500) or a position with another strategy/management consulting firm. Continue networking in the industry and attempt the parallel hiring process. Option 2 is to attend a school where the big firms recruit – if you’re an undergraduate, attend a top-tier MBA program. A master’s degree (or other advanced study program) is another option.